Has your home lost its battle against Mother Nature? If your house is drafty, features peeling paint and is looking rough around the edges, then you may want to have your exterior siding repaired or replaced. Nothing can alter the appearance of your home more dramatically than the exterior siding you choose to install. Fortunately, we have experienced personnel who can help you achieve your dream home! Improve the curb appeal and resale value of your home. Siding is typically made of vertical or horizontal boards, shingles or sheets. In order to ensure the building they are applied to remains protected from the elements, they need to be properly installed, sealed and/or overlapped. Installing the panels can be a challenge for the inexperienced and if installed incorrectly, will only cost you more in the long run. Why is Exterior Siding Important? If you are like most home owners, you would prefer to make the exterior of your home more presentable. Exterior siding can enhance the appearance of your home and reduce your long-term maintenance cost. Fiber cement siding is a special blend of cement, sand and wood pulp that specifically engineered to be fire, insect and weather-proof. When high-quality fiber cement siding is installed properly, you can expect your home to be fire, weather, pest and impact resistant. 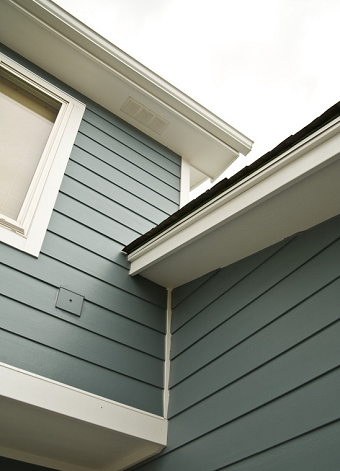 Siding is particularly important for the wet Pacific Northwest climate we experience here in Oregon. The consistently wet weather will quickly erode low quality siding and compromise the structural integrity of your home. Come in a variety of colors, designs, materials and textures. Can reduce energy costs and noise. From a structural point of view, siding acts as a shield for your home while from an architectural point of view, it can highlight hidden features that can elevate its beauty. In other words, a professional siding job can add much needed color and definition to your home and increase its value at the same time. Regardless of the season, your home will always be exposed to the energy exiting and entering it through a process we call thermal bridging. This happens when warmth seeps past the batt insulation in the walls via the wooden studs, releasing massive amounts of heat that you need to keep warm during cold seasons! However, properly installed siding can prevent thermal bridging by acting as a buffer and retaining enough energy in your home to keep you toasty during those chilly nights and days. 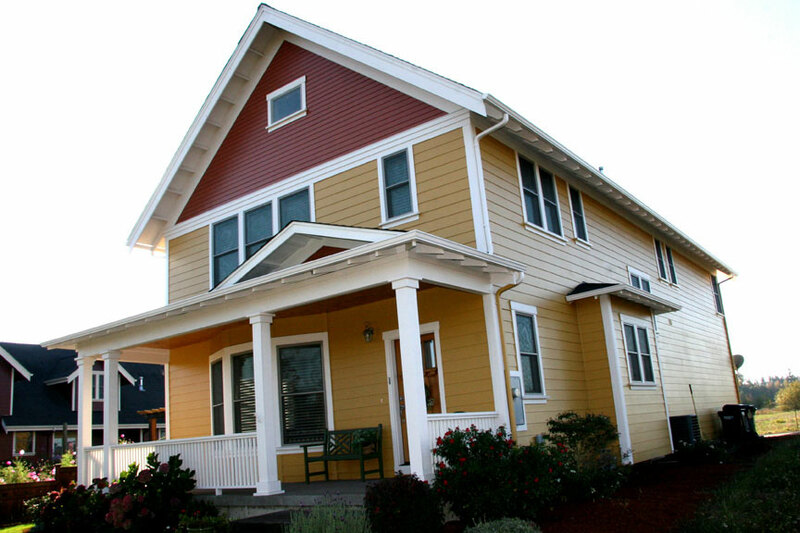 Michael Angelo Exteriors has more than 25 years experience installing exterior siding in Salem, OR. Expertly installed siding can keep any home sheltered from the elements and increase its resale value. Our preferred siding materials from James Hardie are not only trusted by homeowners in Oregon, but by experts across the world. If you live in a busy neighborhood, have thin walls or live close to a busy street, then the noise factor may be troublesome. Exterior siding can help you get the peace and quiet you need by reducing outside noise levels. When sound enters your home through the walls, the energy created makes the material vibrate, amplifying it in the process. If your walls are made of a thin material such as drywall or wood, then even the slightest sounds can pose a problem. 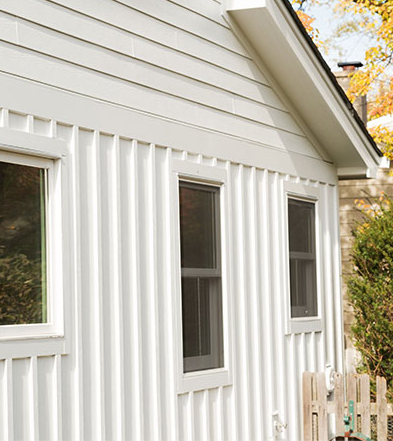 Siding can effectively soundproof your walls and prevent those vibrations, reducing noise penetration by up to 45%. Not all exterior siding products are the same. 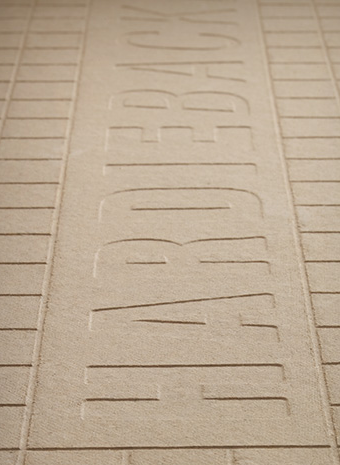 While some products are made from inferior vinyl, wood fillers or OSB materials, only one name stands out as the leader in durable, long-lasting cement fiber products—James Hardie. For over 120 years, James Hardie products have been used to beautify, enhance and protect more than 5.5 million homes across America. With extensive investments in research and development, James Hardie places special emphasis on quality, aesthetics, durability and efficiency to ensure homeowners always receive the best in exterior siding. It’s no coincidence why James Hardie products are the number one choice in North America. No one can control the weather, but with James Hardie’s siding options, homeowners can save money on energy costs while also protecting their homes from the elements . Engineered for all of North Americas unique climates, the HardieZone System ensures that no matter what weather conditions your area may frequent, your exterior siding is going to withstand the elements far better than any other fiberboard masonry siding product on the market—and with baked-on ColorPlus Technology, you can be sure that your sidings colors wont’ fade for years to come. James Hardie takes the quality and durability of its products very seriously, which is why they back their products with comprehensive warranties. You can read about their warranties for specific products here. Lap siding is the most popular siding choice in the Pacific Northwest for its its endurance against adverse weather conditions such as heavy rain, hail and snow. 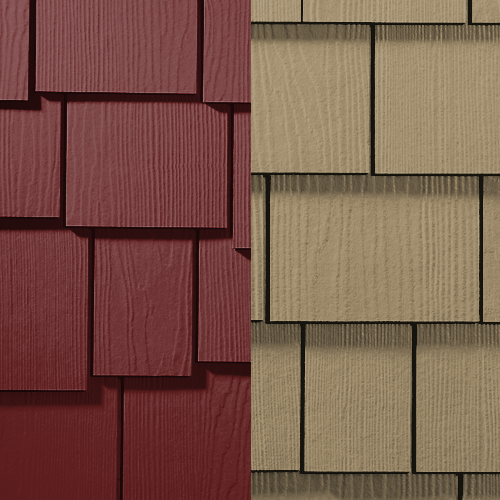 Many homeowners choose to pair Lap Siding with Cedar Shakes or Shingles to deliver a sophisticated and unique look! James Hardie Vertical Siding is also made from fiber cement and is offered in a range of textures and styles including Select Cedarmill, Stucco, Smooth and Sierra 8. This popular choice among homeowners is available primed for durability and color longevity. 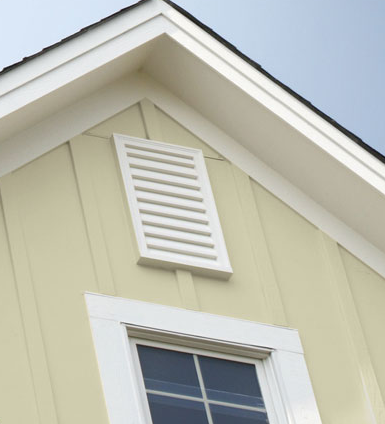 If you want your home to have a traditional and smooth look, then vertical siding will not disappoint. If you want to add character to your home by enhancing its architectural features, adding HardieShingle Siding can fulfill your design needs. HardieShingle is offered in a staggered edge panel for a rustic look or straight edge panel for a modern, tailored look. Shingles are often installed with HardiePanel or HardiePlank as unique accent pieces. HardieShingle require less maintenance and bestows a classic beauty to any home. Quality finishing touches give your home’s design an extra boost. Using HardieTrim Boards, you can accentuate doors, columns, windows, fascias and much more while ensuring long lasting protection against the elements. HardieTrim Boards are available in a number of materials, trims and designs that can suit unique requirements. Paired with HardiePlank or Hardie Panel Siding for a look that will protect your home while keeping up with changing architectural trends. Besides aesthetic appeal, the design of your home should be sustainable so that it can withstand adverse weather conditions. This is where HardieSoffitt Panels shine. These are key constructive elements that can cover the underside of roofs and porch ceilings. 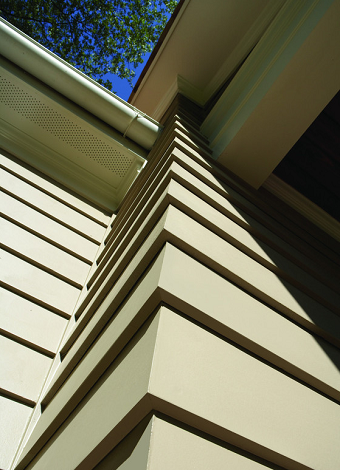 James Hardie offers these in smooth and vented profiles that can deliver a crisp and unique look. Like all of their offerings, Hardie Soffitt Panels are also available in a number of materials and designs. As the name implies, this collection is suitable for home owners who prefer sophisticated home designs. With over 15 years of research and development, Artisan by James Hardie offers stunning shadow lines and boards that are thicker than others on the market. These style enhancements contribute to strong visual aesthetics and curb appeal. The Artisan Collection can be used to create a classical design while also contributing to durability. This popular exterior siding choice offers multiple product lines including Artisan Lap, Artisan V-Rustic, and Artisan Accent trim. HardieBacker Cement Boards are available in a range of sizes and can be painted or covered with wallpaper. They feature James Hardie's patented EZ Grid® recessed fastener pattern making installation a breeze. HardieWrap Weather Barriers are designed for optimal weather protection! 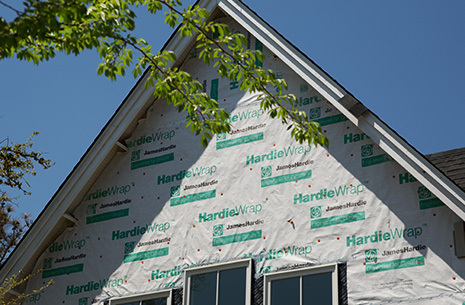 A HardieWrap Weather Barrier is installed over sheathing but under siding boards to create a building envelope system. It features a breathable exterior allowing water vapor to escape. Used in conjunction with James Hardie Pro-Flashing and Flex-Flashing, a weather barrier will ensure your home stays dry and mildew-free. For more design ideas, please use James Hardie's Exterior Siding Visualizer Tool. No matter which kind of siding you choose, your home will be subject to wear and tear if not installed properly. A hash job can not only undermine your home’s structure, but also expose it to water damage and rot. In other words, you will end up paying for repairs way before you need them. That’s why it is crucial that you hire an experienced siding contractor who will help you choose the right siding, expertly install it and stand by their work after the job is done. Wood tends to rot if it comes in contact with water and is allowed to remain wet for long periods of time. If left unnoticed for years, fungi facilitate the rotting process and may not be discovered until its too late. Wood, rot and mildew can go unnoticed for years if they remain hidden, but discolored surfaces will not. Be on the lookout for bubbling plaster, discolored wallpaper, warped wood, cracked mortar and bricks. If you see any of these, it’s time to repair the siding. Waiting too long might force you to replace the whole exterior. Flashing refers to the trim that outlines the edges of siding as well as doors and windows. Since they are impervious to water, they form an effective shield for your home’s exterior and can be instrumental in directing water away from chimneys, joints, doors and windows. Depending on the type of flashing you prefer, these can remain hidden or exposed and can be used on all kinds of siding. A siding job is not complete until it is re-enforced with weather resistant caulking. 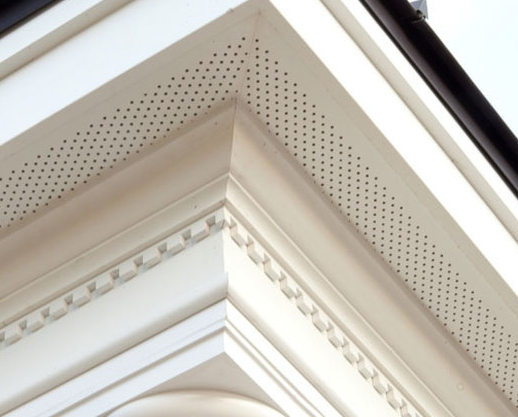 This provides a solid seal that prevents water, noise and air from penetrating the siding and thus keeps the house protected from the elements for years. This also holds true for moisture barriers, also known as house wraps. These are instrumental in a proper siding job and are particularly useful in older homes that are prone to damage. They are installed underneath the siding and provide extra moisture resistance. At Michael Angelo Exteriors, customer satisfaction is our highest priority. We are dedicated to helping home owners obtain their dream home with superior paint jobs, exterior siding, comprehensive remodeling services and other services that can fortify your home from the elements as well as increase its aesthetic appeal. If you wish to protect your home from the harsh elements, increase curb appeal or improve your home’s resale value, Michael Angelo Exteriors will not disappoint. Feel free to give us a call at (503) 949-5371 for a FREE quote!